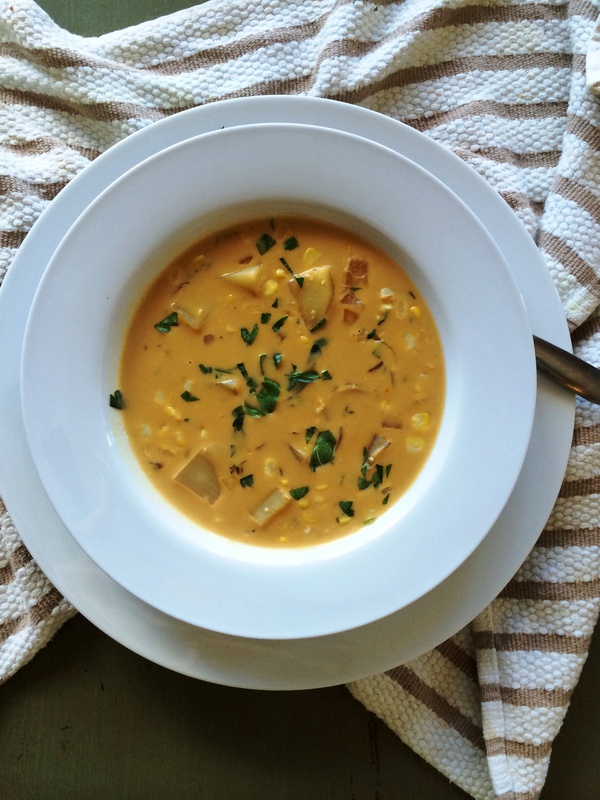 Corn chowder is a true gift… but it’s a little bittersweet. 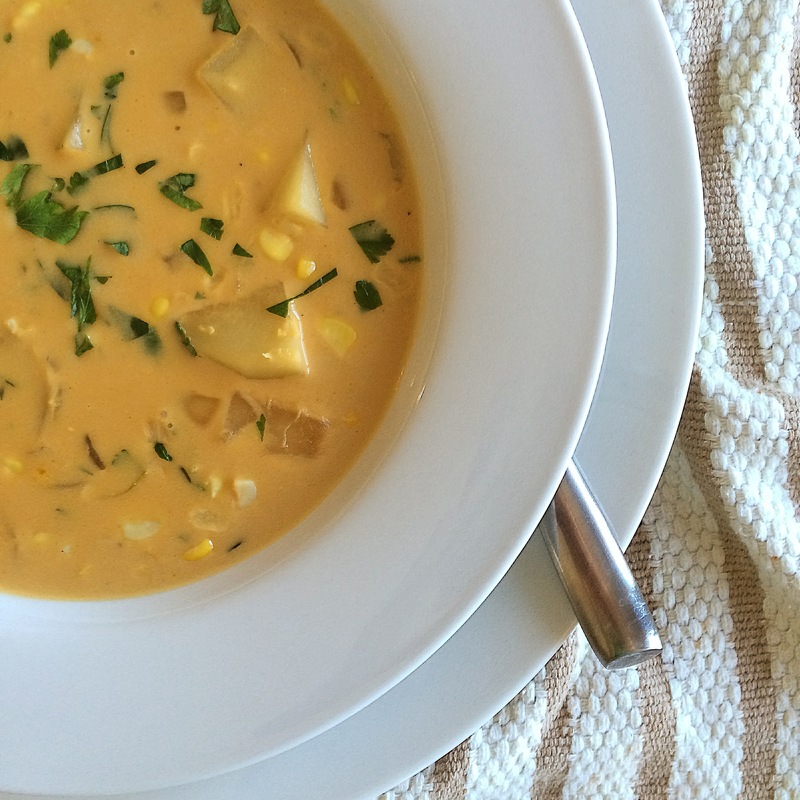 Making this soup means summer is ending. And while I can’t wait to put pumpkin into everything I realize I have to cherish this final gasp of summer produce. It’s around this time of year that I start freezing summer soups and pestos in a panic knowing the end of farmers market paradise is near. 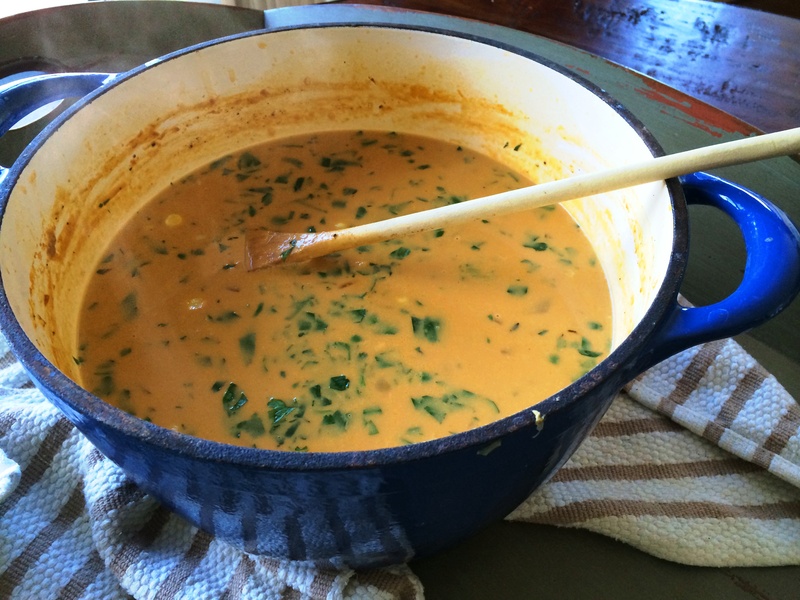 I ate an obscene amount of this fresh and delicious soup this weekend. I’m already excited, however, for the Fall day I pull a container out of my freezer and transport back to summer for a few moments. Promptly followed by a slice of pumpkin bread. I like having all my prep done before I get going on this soup. That means have your onions/garlic/thyme in a pile ready to go (they all go in at once). Have your potatoes peeled and diced. 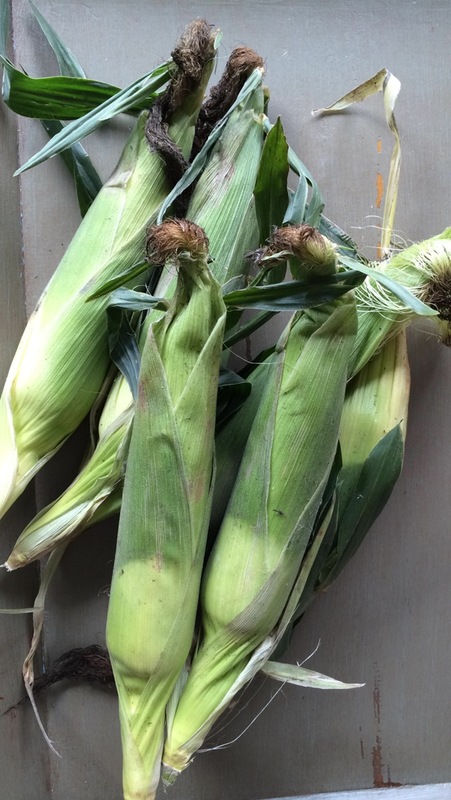 Cut the corn kernels off the cob and set aside. 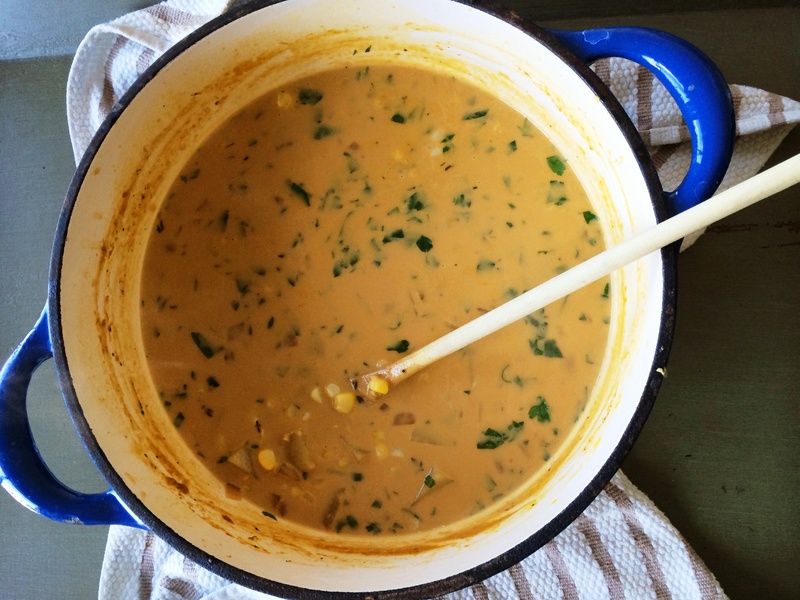 I love this recipe… you get richness from the cream but it’s not as heavy as other corn chowders (less butter, no bacon) so the clean corn flavor still comes through in all the right ways. And every bite gets a nice scoop of corn… win. Heat the butter/oil in a large pot over medium heat. Add onions, garlic and thyme and cook until soft, 8-10 minutes. Add the flour and stir to coat. Add the vegetable stock and bring to a boil. Add the cream and potatoes and return to a boil. Boil like you mean it for 7 minutes (this will thicken the soup and help the potatoes break down). Add the corn, salt and pepper and simmer on low for 10-12 minutes. Add the parsley and serve, topping with an extra drizzle of olive oil if desired. Way back when you used to refuse soup, saying “I will not DRINK my food” I was confident this day would come.